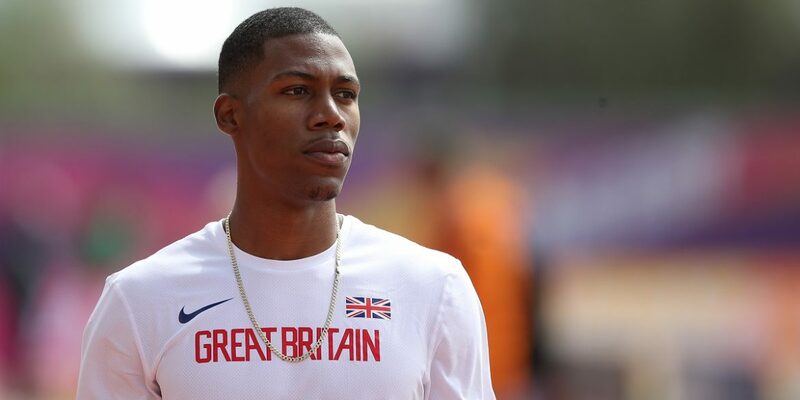 Sprinter Zharnel Hughes is relishing the prospect of competing in his first ever Commonwealth Games for England as the start of the athletics draws nearer. Hughes, starts off his Games on Tuesday, 10 April with the 200m heats, followed by the 4x100m relay heats on Friday 13. He missed out on the chance to compete at Glasgow 2014 but wants to make amends by bringing away a gold medal during his time on the Gold Coast. “I’m just grateful to be here,” he said. “It’s my first Commonwealth Games so I’m definitely looking forward to competing on the Gold Coast, getting my event started and hopefully coming away with a gold medal. “Training has been going really well but it’s quite hot out here, much hotter than Jamaica! But other than that, it’s going just the way I wish. Just two years ago, Hughes was training alongside two of the fastest men in the world in Jamaica’s Yohan Blake and Usain Bolt. And when he wasn’t flying around the track, he was flying around in the skies as he trained to be a pilot, a dream which he has now accomplished. In their training sessions, Bolt would often nickname Hughes ‘The captain’ and salute him when he arrived, but it appears Hughes has been channelling that positive energy into his time down under. At last week’s Queensland Track Classic, he clocked a time of 20.23s (-1.6m/s), the fastest 200m time run on Australian soil since 2001, something that hasn’t yet sunk in. “I was surprised when I saw the tweet when I was tagged in it because I was in shock, it was like ‘what? Wait, me? I thought Usain came here!’. “I was really excited when I saw that and to know that I could have done something like that it massively boosts your confidence heading into the games. “That run was needed, it was just coming off the plane and going straight into a race but I put in some really good work leading into that race and I wanted to know where I was at heading into the games. For Hughes, the outdoor season has come around in an unusual fashion. He normally kicks off with the 400m but has had to shift his regime and begin with the 200m instead. His times in training had been “crazy” and he was raring to step onto the track and open with the 400m, only for his coach to realise the speed at which the Commonwealth’s were approaching. Following the second round of selections British Judo have named a 12-strong team for the 2018 European Judo Championships in Tel Aviv, Israel (26 – 28 April). Kim Renicks (-48kg), Acelya Toprak (-57kg), Stuart McWatt (-81kg), Frazer Chamberlain (-90kg) and Jamal Petgrave (-90kg) have been added to the team that will take to the mat in Tel Aviv. Toprak, McWatt and Petgrave will all be making their European Championships debut in Israel later this month and are the youngest members of the team. Following Lucy Renshall’s selection in February, this takes the number of debutants in the British team to four. Toprak and Petgrave are both 2017 Junior European Championship medallists, winning silver and bronze respectively. They have also shown they can step up at senior level with Toprak winning the Belgrade European Open last year while Petgrave finished seventh in a strong field at the Tbilisi Grand Prix. McWatt has put in a number of solid performances since returning from a second ACL/MCL knee surgery in September last year including fifth at the 2017 Junior World Championships and a seventh at the Dusseldorf Grand Slam earlier this year. Renicks has performed consistently over the last year with fifth place finishes at the Cancun, Tunis and Tbilisi Grand Prix. The Glasgow 2014 gold medallist will be making her first appearance at a European Championships since 2013. Chamberlain last fought at a European Championships in 2016 and the Camberley judoka has had some strong performances in 2018 including a fifth at the Tunis Grand Prix. Rio 2016 bronze medallist Sally Conway (-70kg) and 2017 World Championships bronze medallists Nekoda Smythe-Davis (-57kg) and Natalie Powell (-78kg) were among the initial round of selections back in February. Lucy Renshall (-63kg), Alice Schlesinger (-63kg), Gemma Howell (-70kg) and Ashley McKenzie (-60kg) were also part of the first round of selections. 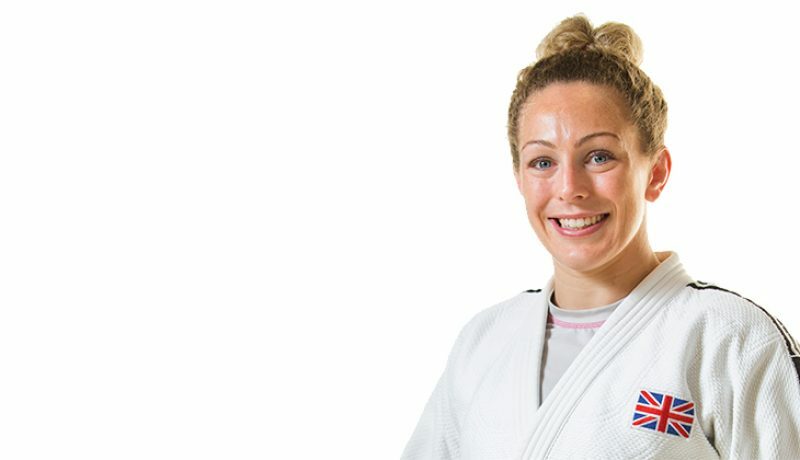 Sarah Adlington (+78kg) was selected for the European Championships in the first round but has had to withdraw due to family commitments. “For the first championships of 2018, we have selected a 12 strong and exciting team of experience and potential and optimistically, go into this event with high expectations. “We have started the year building on the success in 2017 with some fantastic performances in a number of Grand Slam and Grand Prix’s with the highlights being Sally Conway wining Gold in Paris and likewise, Nekoda Davis winning Gold in Dusseldorf. “The team that we have selected is a very strong mix of youth and experience. Our Senior athletes such as Nekoda, Sally, Natalie and Ashley have consistently performed at the very highest level and go into these championships in great form. “Also, it is very exciting to give some our young athletes the deserved exposure at a Senior Championships and although at this stage of their careers there is little expectations, I know that they will go into this event well prepared to give their very best performance. I am sure that they will do GB proud. Under 63kg Lucy Renshall S.K.K.